Easy way to create high quality documents with MS Word. Is there a better alternative to Templates for Microsoft Word? 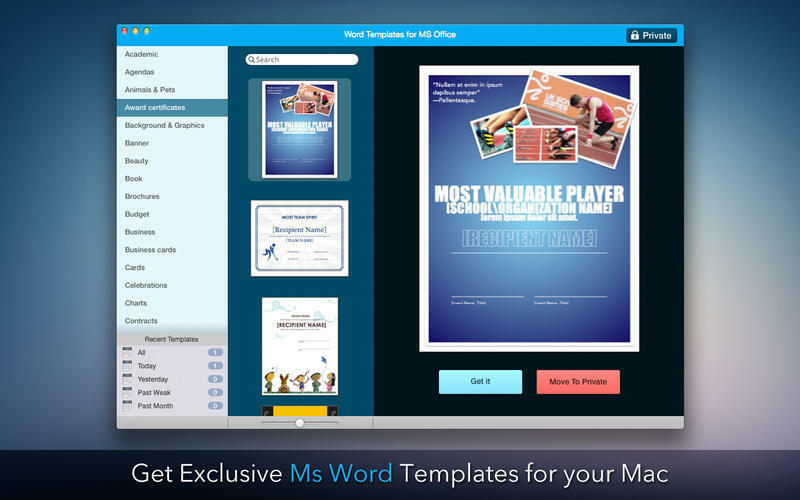 Is Templates for Microsoft Word really the best app in Word Processing category? Will Templates for Microsoft Word work good on macOS 10.13.4? Templates for Microsoft Word gives you all the tools you need to create great-looking documents.You get a wide variety of templates to choose from. You can choose from letters, brochures, letterhead and business proposals. All the templates are professionally designed to meet your needs. 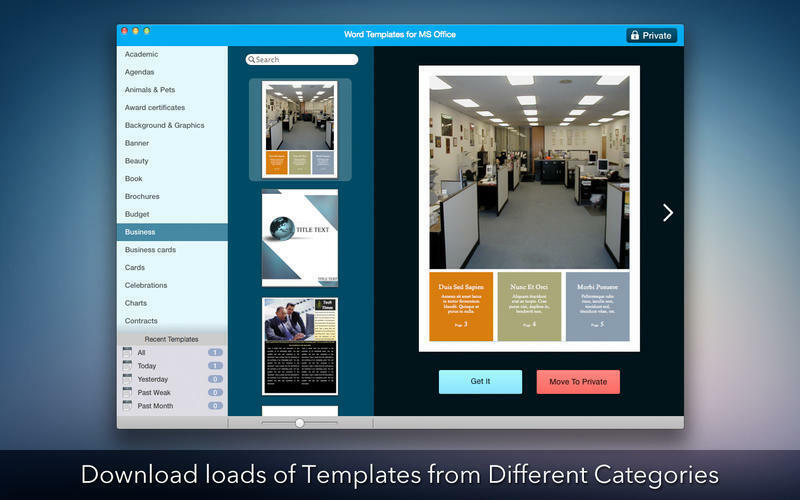 The templates are very easy to use and will make the task of creating business documents a "piece of cake". Templates for Microsoft Word needs a review. Be the first to review this app and get the discussion started! Templates for Microsoft Word needs a rating. Be the first to rate this app and get the discussion started! All the templates are customizable and can be colored, edited, and styled as per your need. 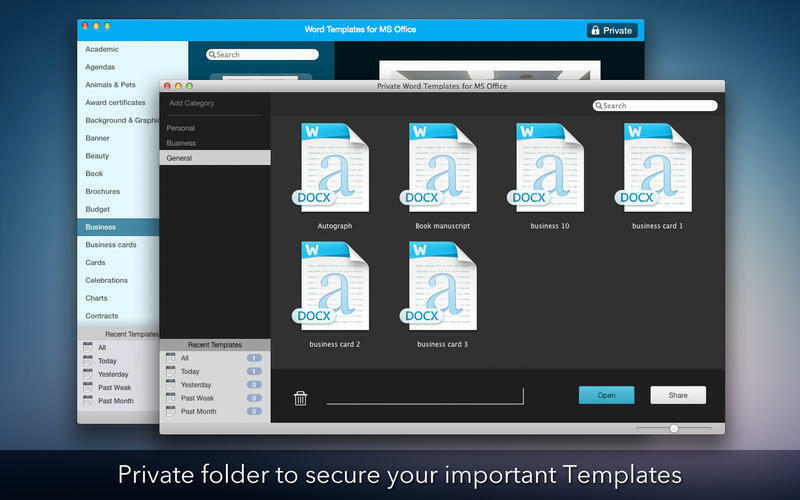 Now creating amazing documents with the templates has never been easier. Try out Word Templates for MS Office!